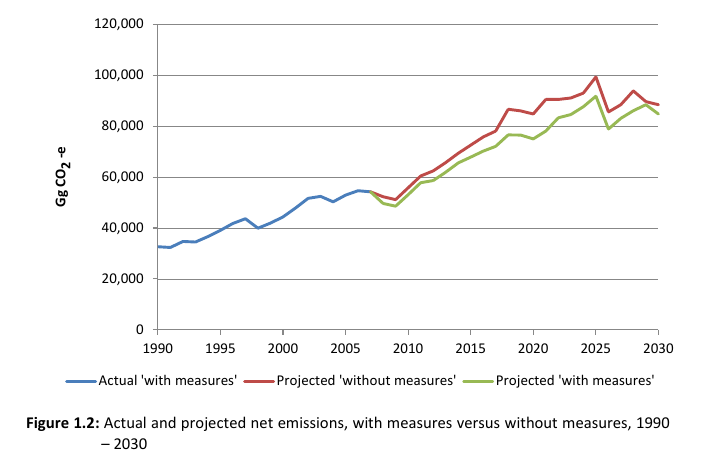 The Government has committed to reducing our greenhouse gas emissions to five percent below our 1990 emissions by 2020, but there is no plan for achieving this – neither the Energy Strategy nor the greatly weakened Emissions Trading Scheme will do it. Detractors of climate action are using faulty logic and whatever arguments they can to discredit a proper policy response. It’s pretty obvious if you think about it, that of course every large problem is made up of smaller parts, and that just because a possible action will only make a small difference doesn’t make it worthless. The same logic would suggest that voting is a useless thing to do for individuals – after all, what can one person, or even small group of people do to change the outcome of an election? There are two points to be said about this. First, even small actions add up to big things – when New Zealanders go out and vote, all those individual actions add up to something really worthwhile. 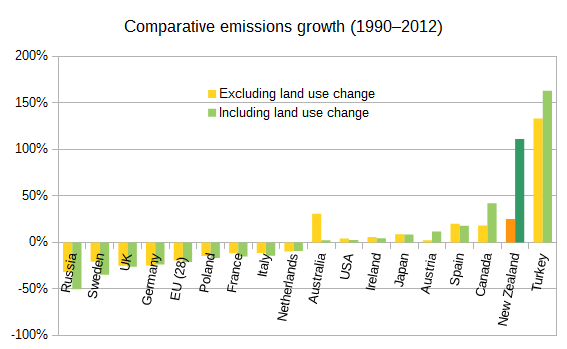 Likewise, significant climate mitigation efforts by small countries will eventually add up to a meaningful difference. Second, our actions can have more than instrumental value. When we vote we’re not just saying “I want this person to win”, we’re also signalling to the community that we think the democratic project is important and worth devoting a bit of time to. Likewise when we take action on climate change as a small country we’re not just cutting our emissions so that the world’s aggregate goes down slightly, but we’re also signalling to the world that even though we could just sit back and do nothing we do actually care. Each instance of domestic action creates a virtuous circle: the action helps to create a political environment for more significant international action, which flows into more stringent domestic action again. When you step back and think about it, those who argue we should do nothing because we’re small are advocating an ethically bankrupt position. Proponents of doing nothing because we’re small are essentially calling for us to be free riders – instead of doing anything ourselves we can just rely on the efforts of others to see the world through this crisis. The rest of the world doesn’t want to burn, so they will be motivated to stop the worst effects of climate change from coming to pass regardless of who else is acting. To be a “fast follower” (aka slow, reluctant follower) is to throw off any pretence of leadership whatsoever, and elevate flawed economic reasoning above ethics and morality. When we look back at New Zealand’s role in tackling climate change, we won’t see another proud episode, but rather a whole series of cop-outs and excuses. If the world has a relatively safe, stable climate in the future we’ll hang our heads in shame and have to thank others who had the foresight to act. Even if New Zealand by itself is a small part of the problem, we need to be seen to do our bit on climate change. Sometimes it’s important to look beyond what’s in your narrowly-defined self-interest and do what’s right for everyone.